Bernice B. “Bea” Dangers age 84 of Crosby died at her home on January 21, 2019. She was born on March 28, 1934 in Howard Lake to Albert and Lena (Hirsch) Greenhagen. Bea married Arthur Dangers on October 23, 1952 in Watertown, SD. She was a rural mail carrier with the U.S. Postal Service with 27 years of service. She was a member of the Immanuel Lutheran Church, Iron Hub and the Emily Women’s Golf League. Bea enjoyed baking and living on her hobbie farm. 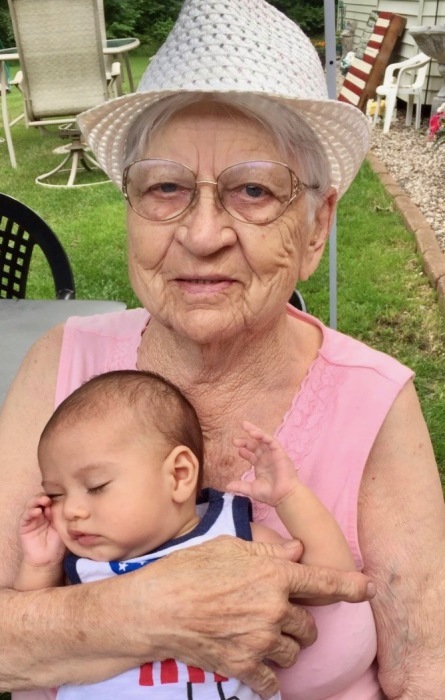 Bea is survived by one daughter, Marianne Auge of Crosby; two granddaughters, Angie (Karl) Hasskamp and Amy (Brent) Gutzman all of Aitkin; six grandchildren, Ashley (Derik) Gertken, Samantha, Kyle, Caitlyn Gutzman, Tahlia and Karson Hasskamp; and great great grandson, Griffin Gertken. Preceding Bea in death are her parents; husband, Arthur “Sam” Dangers; one son, Thomas Dangers; two sisters, LeVerne Dangers and Margaret Archibald; and two infant brothers. Funeral services will be 11:00 a.m. Monday, January 28, 2019 at the Immanuel Lutheran Church in Iron Hub. Burial will be at the Immanuel Lutheran Church Cemetery. Visitation will be on Sunday at the Koop Funeral Home in Crosby from 2:00 to 5:00 p.m. and on Monday one hour prior to the services at the church.